Last October I went to California to join Natalie & friends as a part of the Beyond the Reef team for PIQF. On day 2 somehow we all got into a discussion on appliqué. Jane & Natalie were explaining to Joanna how the night before they had taught me needle turn appliqué. Joanna said I should try the freezer paper method. The conversation continued on and off & by the end of the day a challenge was born. 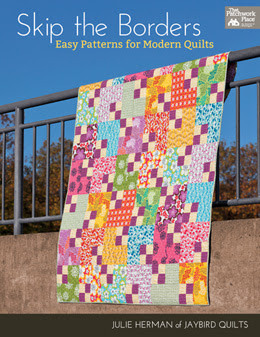 With the Madeline pattern from Joanna, shown above, and fabric from beyond the reef.... I had homework! With help from Natalie & Jane I learned more about applique. 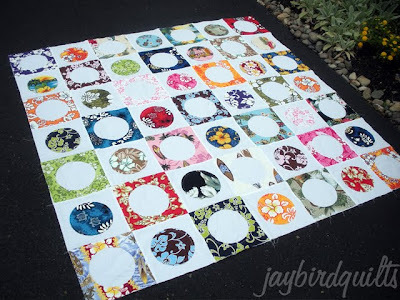 Come morning we had a quilt top! A "mini madeline" that we named LeiLani.. our hula girl. quilt measures - 19.5" x 27"
and she did an amazing job! and she said it would travel... and spend time with Natalie... with Jane.. and with me. so today it's headed back to california... i've enjoyed having it for a while now. Unfortunately I won't be there this year. I was there last year as well and will be going again this year, I'm so excited! 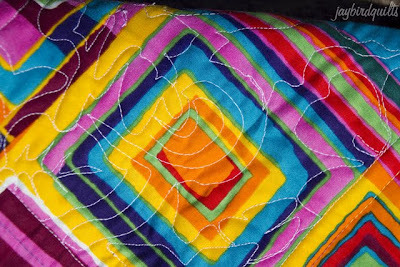 I really need to learn applique as well, there's soo many great patterns just outside my reach because of not knowing it. 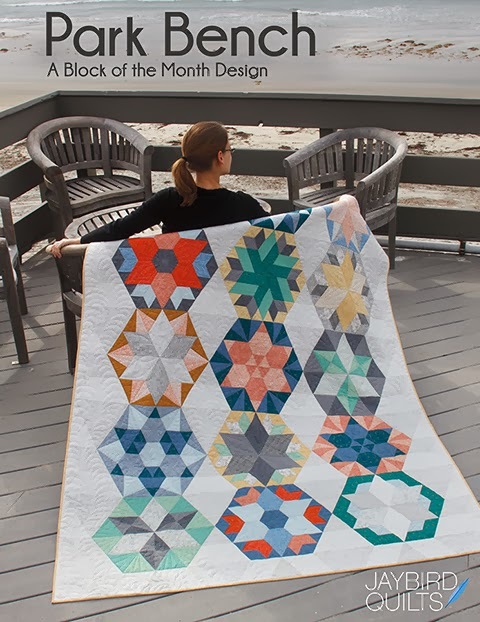 I'll be excited to see your circle around quilt. 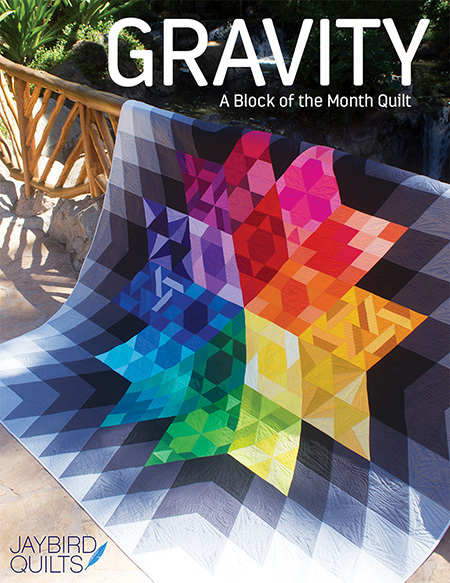 I've been meaning to ask is the pattern only available in the magazine? I love LeiLana! Beautiful. 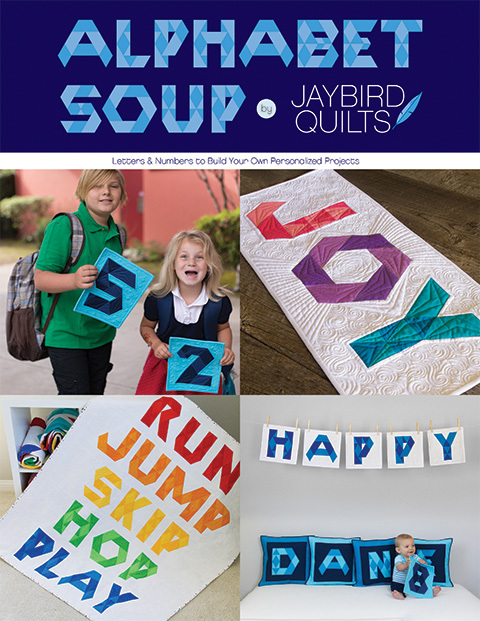 That's one skill I really want to learn, applique. I haven't tried it at all yet! 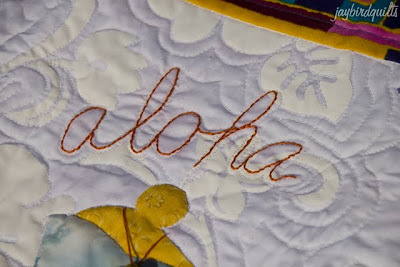 Well of course I love anything Aloha! Soon you'll be singing Sweet Leilani! That is so darn cute!! I love your variation on it. I may need to get that pattern! Sorry to hear you will not be a P.I.Q.F. you always stop at our booth..... we will miss you!!! Julie, Leilana turned out great! Mom and Natalie are great teachers! We will miss you this year at PIQF but we will keep you there in spirit! 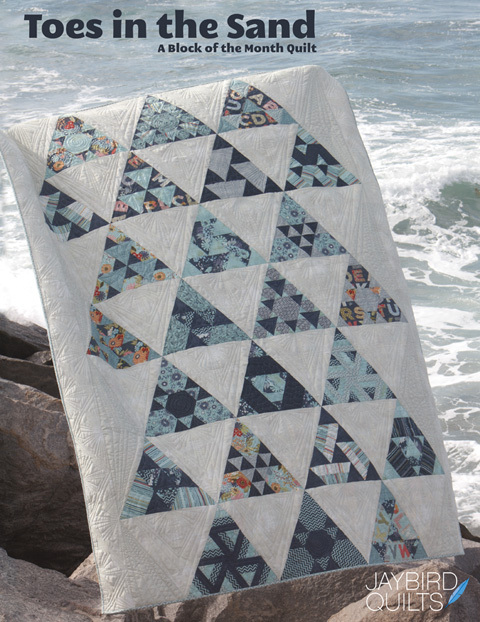 A great little quilt and I love that it will travel from person to person! Nicely done! You are a quick study that is for sure. 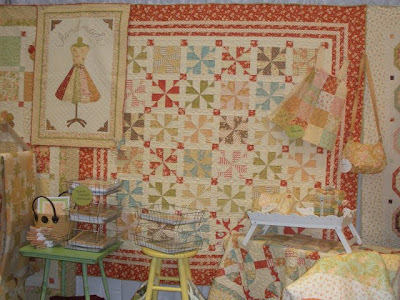 Very nice job on the applique, thats an adorable quilt to share with good friends. 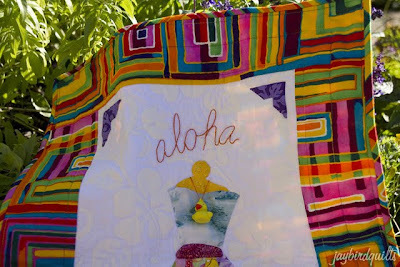 I love to applique but don't spend the time to get it together and take a long since I use freezer paper. 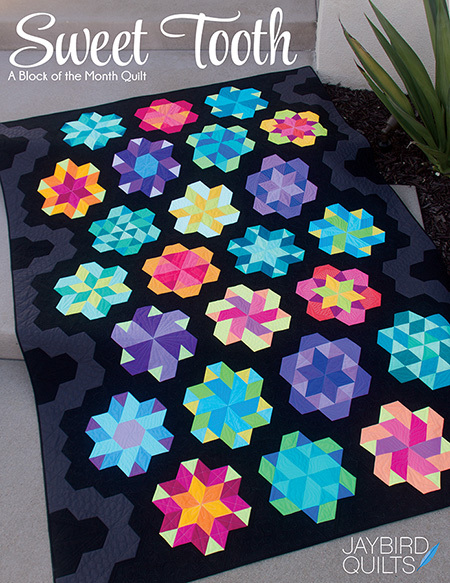 I've loved that quilt pattern since I first saw it. I really like the way it looks in the bright colors! 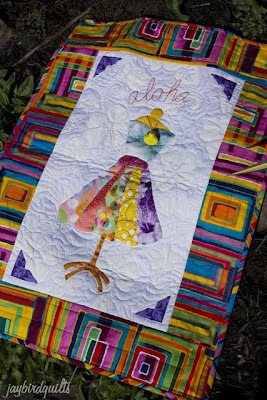 your hula girl is just adorable!! 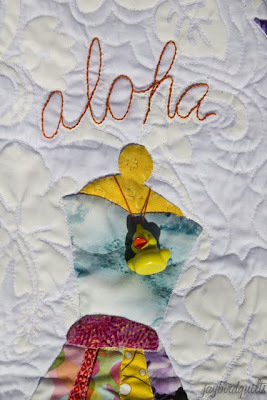 Love Hula Girl! It is beautiful and so different!